Achieve your puckering potential, organically. 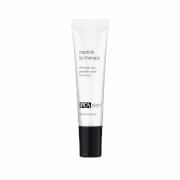 This Organic Lip Moisturizer blends nourishing Shea and Cocoa Butter with sweet tasting organic Orange and Vanilla for organic, kissable lips. Shea Nut Butter - Emollient rich, soothes and protects natural moisture factor. Organic Beeswax - Nutrient rich, emollient and protective. Organic Vanilla & Orange - Naturally sweet flavor. Cant decide which moisturizer? Choose this one! Hi;So im a fan of keeping my lips shiny at work, but not in color. and most of my lip-balms or moisturizers are sticky. and i keep wondering if the chemicals they contain is harmful to my lips, so i decided to try Juice-Beauty, since its all organic. its apple in odor, and tastes like apple-sauce. and it keeps my lips looking shinny and not dry! So yeah! its on my favorite list from now on. 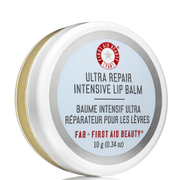 Packaging is sleek, tube is slanted on the end and apply by squeezing on lips. To me, was a bit hard to "even out" on lips. It has a slight shine but not over the top. Almost like a shiny lip balm. But, the smell is insanely good if you love citrus, and ThatGuy does. 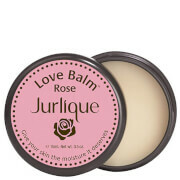 Juice Beauty Organic Lip Moisturizer does provide good moisturization, feels nice on the lips, and is long lasting. However, the flavor is a little overbearing for me and leaves a somewhat bitter orange aftertaste. I would prefer that they leave the orange out altogether and just leave the flavor at vanilla. I am not kidding you this is the best lip moisturizer ever! It beats out all of the non-organic ones as well! I am mildly addicted to this product becuase it smells/tastes so good! I feel safe using this product on my kid sister too since it has the USDA organic seal on it. it soothes my lips and leaves them soft and kissable!